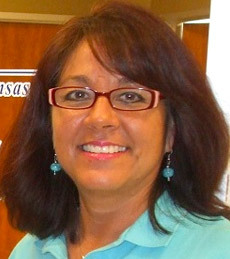 Mary is the Director of Immigrant Programs for Credit Counseling of Arkansas. Before becoming a member of the FORGE Board of Trustees, Mary served on Boards of the Winthrop Rockefeller Foundation, Rebuilding Together, The Fayetteville Community Foundation, The Hispanic Women's Organization of Arkansas and the Multicultural Center of NWA. Mary is a certified credit counselor and has a BS/BA degree in Data Processing and Quantitative Analysis. She worked as a contract manager for the aviation industry and as an English teacher in Argentina. Mary is an artist and her family runs a restaurant in Fayetteville.